In certain circles, there has been a royal stink the past few days about, of all things, pancakes. 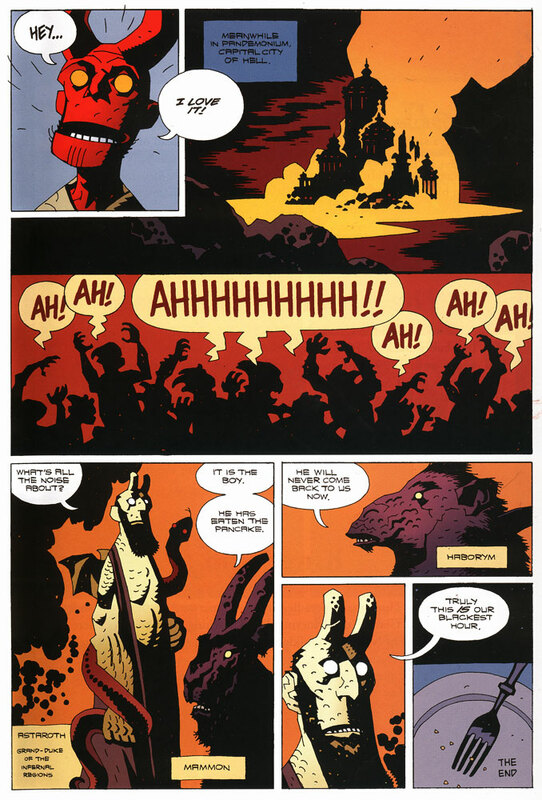 I don’t actually know the particulars and feel like my brain cells are better occupied with other things, but as an antidote to that particular venom, and any other you may be suffering from, I offer up this classic Hellboy tale by Mike Mignola. I hope it’s okay to do so, as these two pages are widely available on the net, and I originally read the tale as a free digital comic on the Dark Horse Comics website. If I hear otherwise, I’ll remove it. 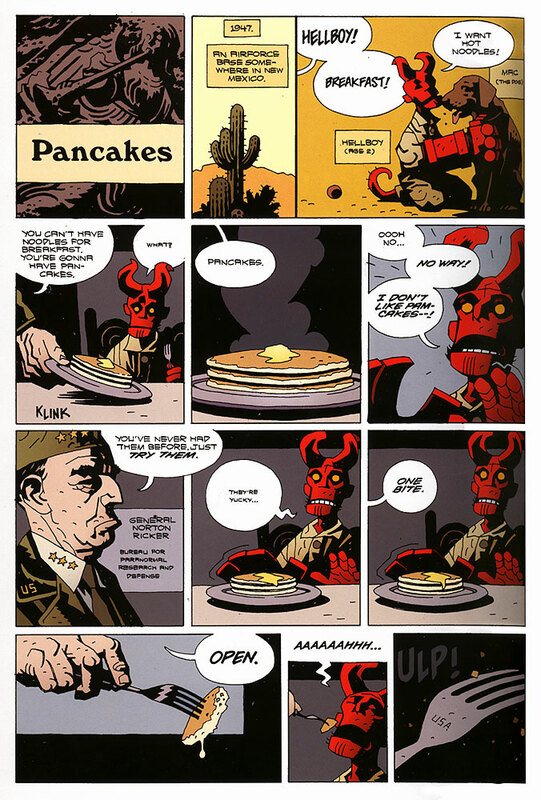 This entry was posted in Books, Funny, Pulp and tagged adventure, Books, comics, fantasy, Funny, Hellboy, humor, kids' books, literature, Mike Mignola, pulp, pulp fiction, pulp heroes. Now I want some pancakes. I’m suggestible that way. Pancakes are very complex carbohydrates.